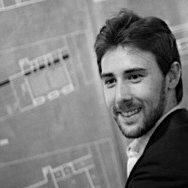 An old friend of Insitu, Wesley Perrot is a graduate from the Architectural Association (UK), a practising architect in Sydney/Queensland and a registered architect in the Netherlands. Wesley has been a contributing editor to the Australian Design Review(ADR) and runs a practice engaged in vernacular design up in the tropics of Australia. Should Architects Register Upon Graduation? Earlier this year, the American Institute of Architects, the Royal Institute of British Architects and their associated national registration bodies publicly announced that they would move to establish programs that enable students to register upon graduation. With two architectural superpowers promoting this substantial change, will Australia follow suit or will it be business as usual? It should come as no surprise to suggest that many aspiring (and registered) architects around the world have been calling for the radical reform of the architect registration process. In an unexpected response, both the American Institute of Architects (AIA) and the Royal Institute of British Architects (RIBA) made public announcements earlier this year, stating that they would move to establish programs within their accredited university courses that give students the option to register upon graduation. The announcements come as recent research has shown that it takes nearly a decade on average to become a registered architect, and that graduates are beginning to seriously question the value of registration. In response to this reality, the RIBA and the UK Architect Registration Board (which have not always seen eye to eye) have joined forces with UK architecture schools and student bodies to overhaul the education system and bring it in line with the new ‘modernised’ European Union ‘Professional Qualifications Directive’. According to the new directive, architectural training should now comprise either five years of university study (‘5+0’) or not less than four years of study supplemented by a supervised professional traineeship of a minimum of two years (‘4+2’). revise the framework for architecture education to enable delivery of an integrated award leading to registration. embed the professional content of architecture entirely within an integrated award. restore relationships between practice and academia. maintain and enhance courses in architecture without the loss of the creative intellectual, practical and professional content informing progressive practice. Meanwhile, back in Australia, public discussion about the ‘architect registration revolution’ has been eerily quiet (non-existent). The Australian Institute of Architects and the Architects Accreditation Council of Australia (AACA) do advocate for a national registration scheme, but have yet to provide in-depth comment on the ‘drastic changes’ to architect registration abroad. Newly appointed AACA CEO Kate Doyle has noted that while the AACA is aware of the moves to change registration overseas, there are currently no plans to change the pathway to registration in Australia. The AACA is, however, working hard to extend the APEC Architect scheme (reciprocal recognition of architects between Asia-Pacific Economic Cooperation [APEC] members) and is currently undertaking a review of the National Competency Standards in Architecture (NCSA) to reassess the competencies taught in accredited architecture schools in order to better align with the AACA’s Architectural Practice Examination (APE). The NCSA review comes at a time when the Association of Consulting Architects Australia (ACA) has released some confronting findings about the competency of recent Australian graduates, noting that universities are moving away from delivering the core knowledge that enables students to enter the profession. A recent ‘Salary Survey Findings’ report (June) produced by the ACA noted, “Many graduates are not well-equipped when they enter the full-time architectural workforce as previously.” In an earlier ACA ‘Event Report: NCSA Review’ (February), it reported a “concern about low levels of knowledge of structures and materials, even among very bright new graduates” and “in the current volatile economic climate, practices simply can’t afford to hire new graduates who can’t work productively straightaway”. While most practising architects advocate for free creative expression during university studies, an increasing majority believes it must be paralleled with a rigorous exposure to architectural management, practice, law and technical understanding. For instance, a single ‘Practice’ unit in the final semester of a five-year course is no longer sufficient to prepare students for the complex business environment in which architects currently operate. The truth is that we are creating graduates who cannot function in the current marketplace, which will ultimately damage the profession’s ability to operate effectively and competitively. The deficit of core knowledge is fundamentally linked to the delay in graduates registering in Australia, as they consequently lack the confidence (and ability) to sit the APE. Many graduates sitting the APE believe most (if not all) of the exam’s content can be delivered while at university, thus reducing the time (and cost) of registration. Integrating this knowledge within a university course would also remove the rarely mentioned discriminative nature of registration, as one’s ability to sit the exam predominantly depends on the ability to find/retain employment and be provided with the experience to fill in the logbook. The calls for registration reform have also been spawned from an overwhelming discontent among graduates (and architects) who are questioning the value of registering as fees plummet and ways to circumvent the need for an architect proliferate. For example, in Queensland one can register as a building designer ‘open’ enabling that person to have the same operational capacity as an architect. It requires the completion of an accredited course (which vary in duration) followed by a two-year professional experience period. It’s possible to then register in a few weeks with a 10-page form and three referees! It can be declared (in Queensland at least) that while the title of the architect may be protected, the function most certainly is not. If complete registration upon graduation in Australia is too unpalatable, perhaps the profession could take note of how the Queensland Building and Construction Commission licenses its building designers in a three-tiered system as ‘low-rise’, ‘medium-rise’ and ‘open’ classes. On completion of a five-year architecture course, one could at least register as a ‘low-rise’ architect, then later register as a ‘medium-rise’ or ‘open’ class architect aligning with progressive experience. This would provide graduates with much needed morale and recognition after their extensive studies and progression through the profession. Whatever the suggestion, architect registration is a hotly contested issue that divides opinion within the profession. On one side, you have ‘the reformists’ and on the other ‘the preservationists’. The recent ‘reformist’ changes abroad are about acknowledging a change in generational attitudes and marketplace realities. After all, a profession must adapt to external forces and facilitate accessibility; otherwise it risks isolating itself on ‘Irrelevant Island’.